Linda has been an Honorary Professor in the School of Medicine at The University of Queensland, Australia for the past 10 years. She currently works at Charles Sturt University and her research interests lie in the care of children in health services, particularly in rural and remote areas. 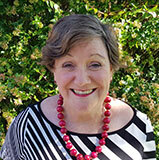 Linda joined the AWCH Board in 2013.